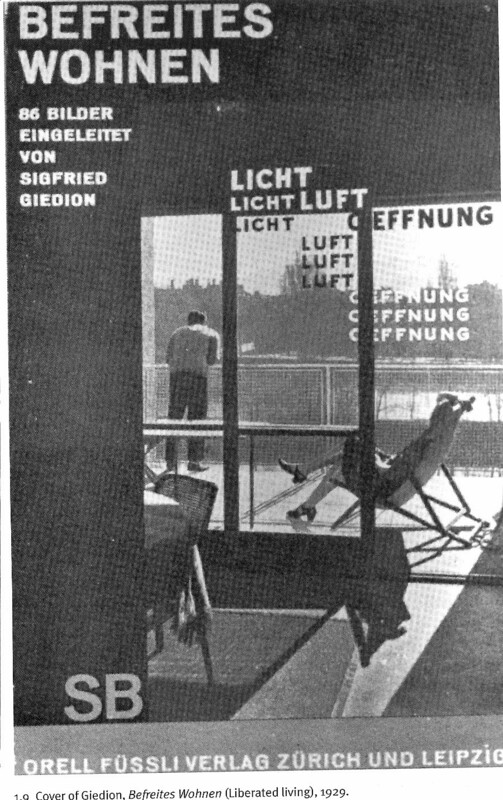 Befreites Wohnen, or Liberated Living, Siegfried Giedion, 1929. Somewhere in Germany, or maybe France. Licht und Luft is light and air, Oeffnung means opening. What view does he have? The man is in the distance, back to us: it is the view and the relationship between indoors and out that is most important here. The woman’s body and the chair, angled in parallel, are the only diagonals, although the camera eye is not full frontal as it is next door. Our Deutschers are fully engaged in relaxing in the sunshine. They are demonstrating “befreites Wohnen”, liberated living. 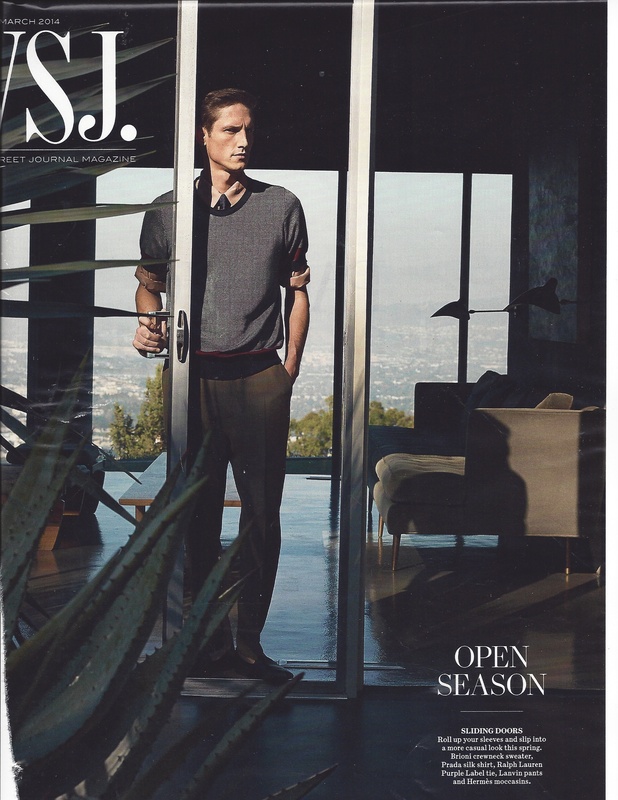 Wall Street Journal Magazine, Men’s Issue, 8 March 2014. Doesn’t say, but has to be LA. Here the sliding door is front and center, as is the chiseled male body, here up close and facing us. Instead of diagonals rendered by a woman’s languid posture, here the diagonal is not only deployed by the old-fashioned mid-century version of the yucca, that yearning plant manages to touch the model’s crotch. Note how in each picture, the steel frame of the slider divides the image into thirds, very Renaissance triptych. This LA man is alone, not at all at leisure, and he treats the sliding door like a gate soon closed for protection.